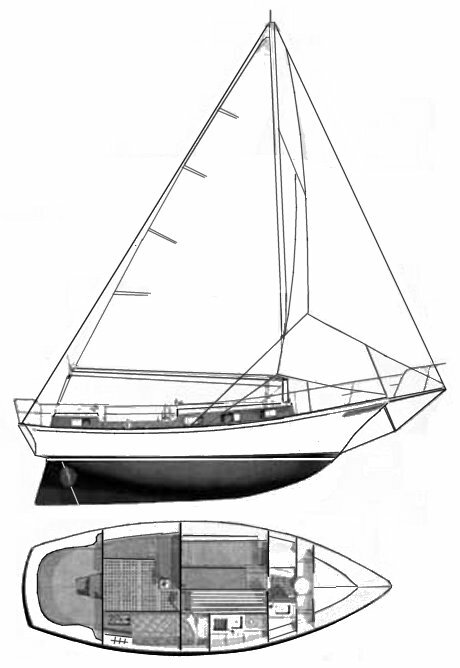 A keel/centerboard version was also available. Draft BU: 2.5', BD 6'. Available also as a ketch.